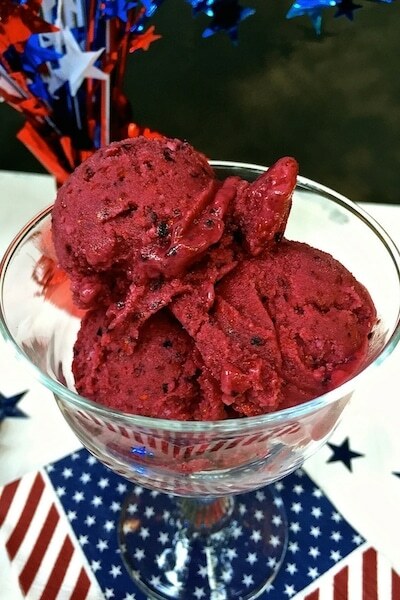 Easy Mixed Berry Sherbet is probably the easiest and most delicious sherbet you will ever make. When I was growing up, I remember whenever we were sick, as a treat, our Mom would always give us sweet and tangy sherbet, and it never failed to make us feel better. Nowadays, sherbets that you buy are mostly pale and tasteless concoctions that don’t in any way resemble the sherbet we ate many years ago. 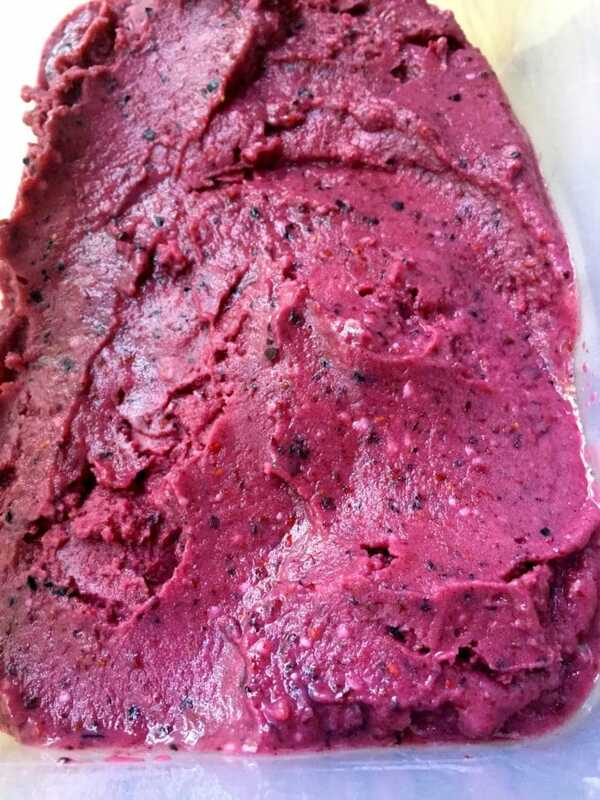 But today’s recipe for Easy Mixed Berry Sherbet is different. 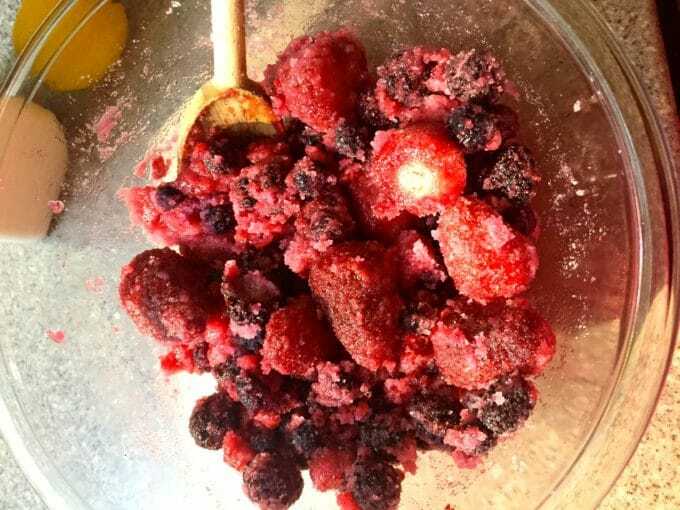 This sherbet has not one, but four different kinds of berries. It is also delicious made with other types of fruit. 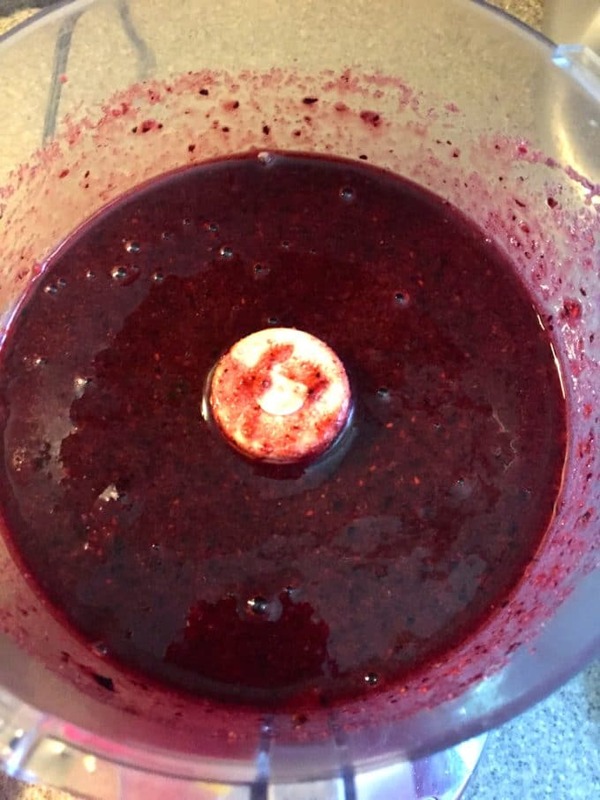 You can use either fresh or frozen fruit. The secret ingredient in this marvelous sherbet is buttermilk. Yes, buttermilk. I know it sounds unusual, but it’s essential to the tangy flavor of the sherbet. One other nice thing about this recipe is while you can make it in an electric ice cream maker, you don’t have to have one. I’m including “how-to” instructions for both ways. 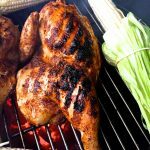 Since many of you will probably be grilling over the summer, I thought this would be the perfect opportunity to also share my recipes for delicious Grilled Chicken, a classic Southern Potato Salad and another cool ending to a perfect day Dark Sweet Cherry and Pomegranate Sherbet. 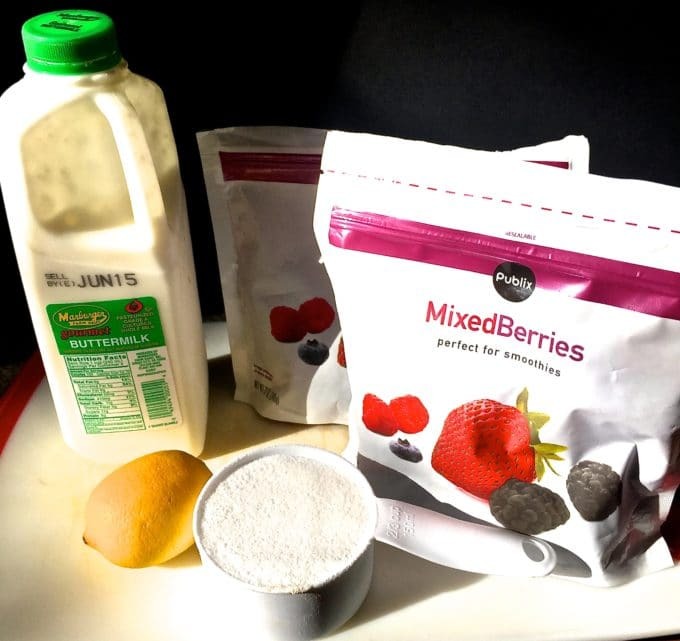 To make Easy Mixed Berry Sherbet gather your ingredients: 4 cups of frozen or fresh mixed berries ( The frozen berries work just fine, but if you have fresh, feel free to use them) sugar, light Karo syrup, buttermilk and lemon juice. 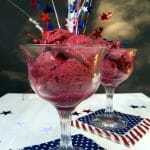 To make Easy Mixed Berry Sherbet, combine the fruit, granulated sugar and Karo syrup in a large bowl and mix well. Allow this mixture to sit for about 30 minutes, stirring occasionally. 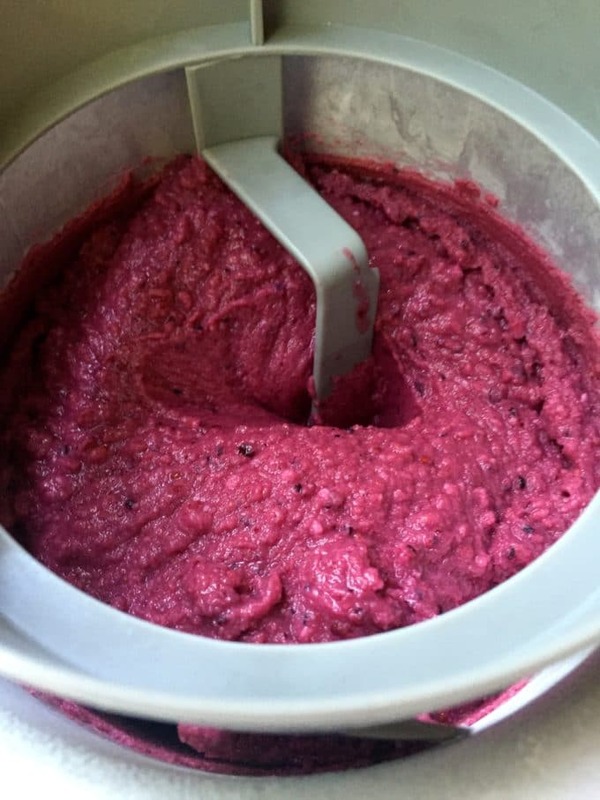 Process this mixture in your food processor fitted with a steel blade until it is smooth. At this point, if you want to remove any seeds, strain it using a fine wire-mesh strainer. Put in a large bowl and add the buttermilk and lemon juice. Stir well. If you are using an ice-cream maker, cover and refrigerate the mixture until it is very cold. Add to your ice-cream maker and follow the ice-cream maker’s directions. It usually takes about 20 minutes to firm up. Transfer to an airtight container and freeze until it is firm enough to scoop. If you don’t have an electric ice-cream maker, cover the mixture and place it in the freezer for 8 hours. 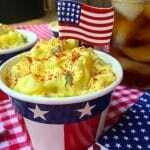 Using a fork, break the frozen mixture up into small chunks and place in a bowl. Use your electric mixer to beat at medium speed until smooth. Return to the pan, cover and freeze 3 hours or until firm. 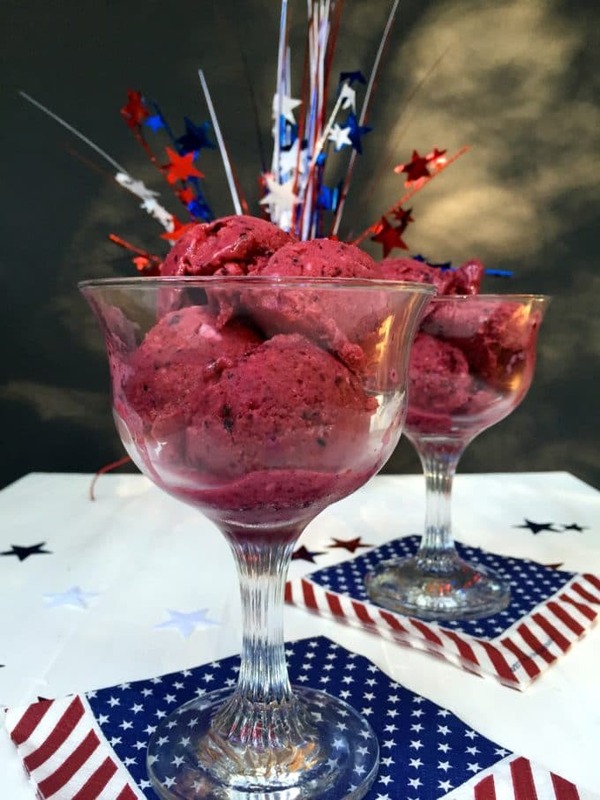 Easy Mixed Berry Sherbet is a delicious, light and refreshing dessert! It's also a healthy-ish and low-calorie dessert, coming in at only 227 calories! Combine the fruit, granulated sugar and Karo syrup in a large bowl and mix well. Allow to sit for about 30 minutes, stirring occasionally. If you are using an ice-cream maker, cover and refrigerate the mixture until it is very cold. Add to your ice-cream maker and follow the ice-cream maker’s directions. Transfer to an airtight container and freeze until it is firm enough to scoop. If you don’t have an electric ice-cream maker, cover the mixture and place it in the freezer for 8 hours. Using a fork, break the frozen mixture up into chunks and place in a bowl. Use your electric mixer to beat at medium speed until smooth. Return to the pan, cover and freeze 3 hours or until firm.